Happy New Year! I hope everyone has been enjoying the holiday season. As we enter the new year, the winter months of January and February can be a quiet time for many Granges. Perhaps meeting attendance isn’t quite as high and often times there aren’t as many public events because of heating costs and winter weather risks. What better time to evaluate and plan your membership recruiting strategy and review your membership materials? Have you taken the time to go through the information packets from our new Public Relations Committee? In addition to electronic options, newly designed membership brochures have been created and they look great! Will your Springtime events that are open to the public include invites to potential candidates? Will your press release announcing events include wording that your Grange is welcoming new members? 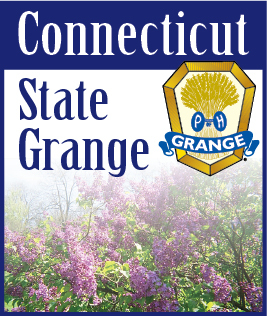 Did your Grange receive a charitable donation around the holidays? When sending a thank you note, why not consider inviting the individual or organization to a meeting if they aren’t already Grangers? In January, Lisa and I are planning to attend the Northeast Leaders conference in Albany NY. We’ll share more of what we learn upon our return. Remember, there’s never an off season when it comes to recruiting new members! Until next month, I hope you enjoy everything that New England has to offer in the Winter!